As one of our expanding services to our members, WPMA awards merit scholarships. 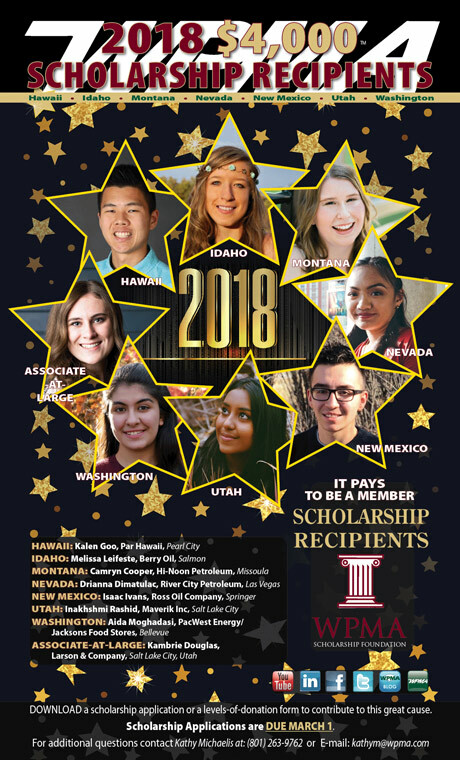 The program awards a $4,000 scholarship to a deserving student within each of the seven WPMA member states each year, and one to a student from an associate member company. Applicants must be a graduating high school senior and the son or daughter of a WPMA marketer or their full-time employee, whose primary residence is located within the WPMA state where the membership resides; or a graduating high school senior who is the son or daughter of an associate member or of a full-time, permanent employee.